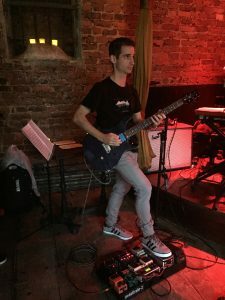 As a musician by trait and a developing runner, I feel a connection between playing the guitar in different bands and training for different events. With both environments I need to feel the rhythm and groove. It’s imperative to react to what is happening around me either in a race or playing with other musicians. Tempo awareness is a paramount ingredient that can distinguish a great band from a run-of-the-mill one. It also plays an important role with training and racing to your full potential. In my musical endeavors, I’ve been fortunate to hear and play with great musicians who know how to take groove to another level. Instead of the audience simply listening to music, the show becomes a whole other experience. The bandleader draws the audience in and the band receives the energy from the crowd. Some bandleaders might favor faster tempos with placing notes more on top of the beat. Others might prefer playing slower and more behind the beat. If everyone is in the pocket, both ways add a lot of excitement and will resonate with many music fans. Reacting and knowing what your audience expects is key to drawing people into your performance. Likewise, choosing the right tempo can either make or break a song. 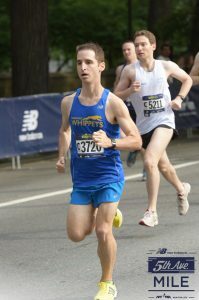 I find the concepts with tempo and rhythm work equally well with running. Have you ever started a workout or race too fast? Have you ever tried to “wing it” and hope for a personal best? As always, these approaches usually don’t work because too much is done too soon or it’s not specific enough. As musicians and runners we should always try to aim for ending on a high note. Watch any top elite Kenyan or Ethiopian marathoner and you’ll see complete mastery towards the finish line. It’s quite an art form to watch. If we apply the same concepts in both fields I believe people will perform better. So, how do we begin? First, we must focus on the task at hand. 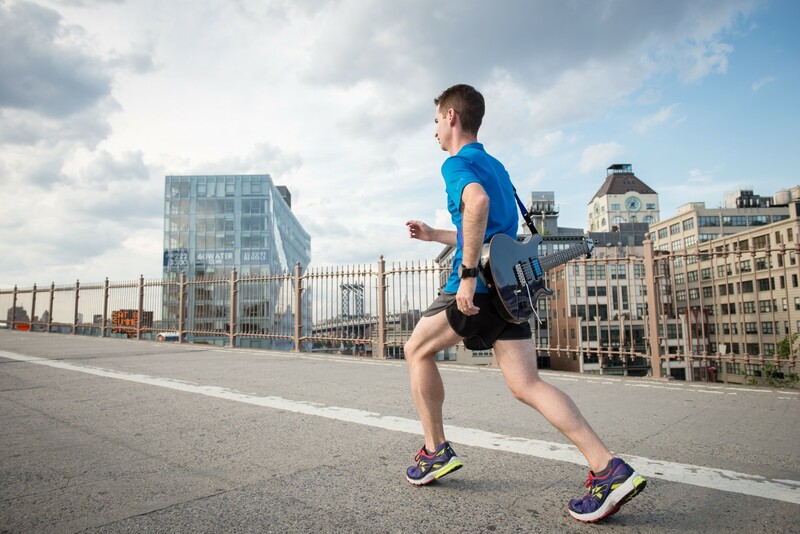 If I’m completing a tempo run I need to tune into the rhythm of my body. Concentration is key. In practice my running watch acts like a metronome, which gives me information about my pace. It’s a useful tool similar to a metronome. However, it’s only a reference and won’t boost me into automatically running a 14:00 5k. Likewise, the metronome can inform me of my tendencies or weaknesses with my time. Just because I can groove to a metronome doesn’t necessarily mean I can automatically translate it into playing live with a different band. There might be an ebb and flow with tempo just as in a race. Our focus needs to take place in the moment. We have to tune into our environment. We also have to trust ourselves and know the program. The next time you race or play a live show, focus on movement. Try to connect with the musicians, runners or audience. Most importantly, listen. I find this helps me perform at my best. During workouts, try to complete a few miles at a consistent and even pace. It takes a bit of concentration and willpower to do, but it helps with becoming a better performer. During a show, interact with other bandmates. Make eye contact with the audience. Most importantly, trust your abilities and have confidence in yourself. By adopting these habits you should develop more of a synergy between the performance and your audience.